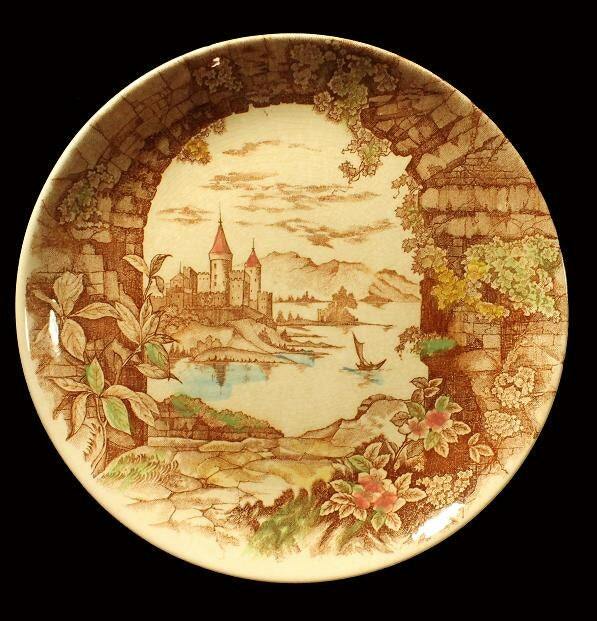 This is a lovely decorative plate with a lot of charm and character. 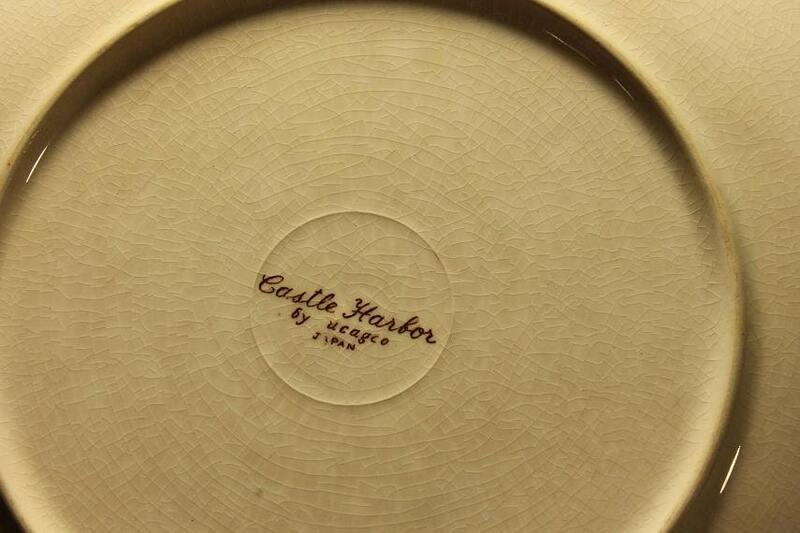 The plate depicts a castle, a lake and small boat. The edge is a made to give the viewer the feeling of looking through a stone archway. There are beautiful flowers in the lower right hand side. 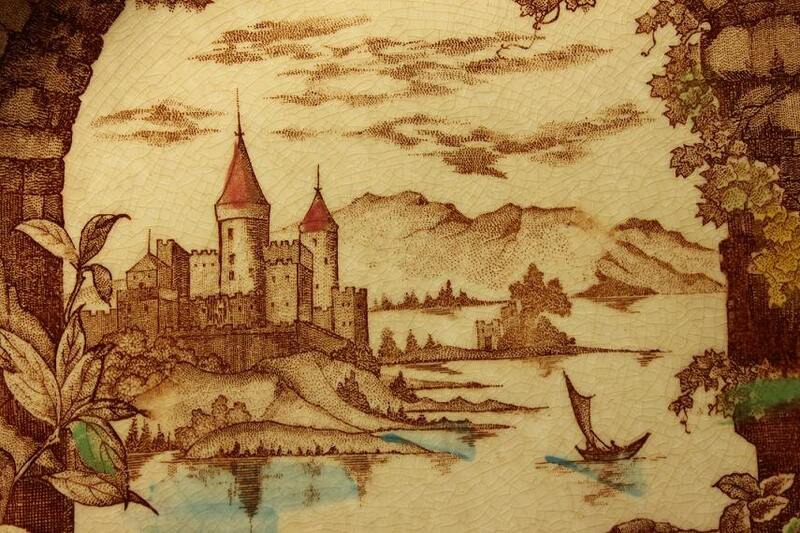 Just a stunning transferware multicolor landscape. UCAGCO stands for United China and Glass Company. 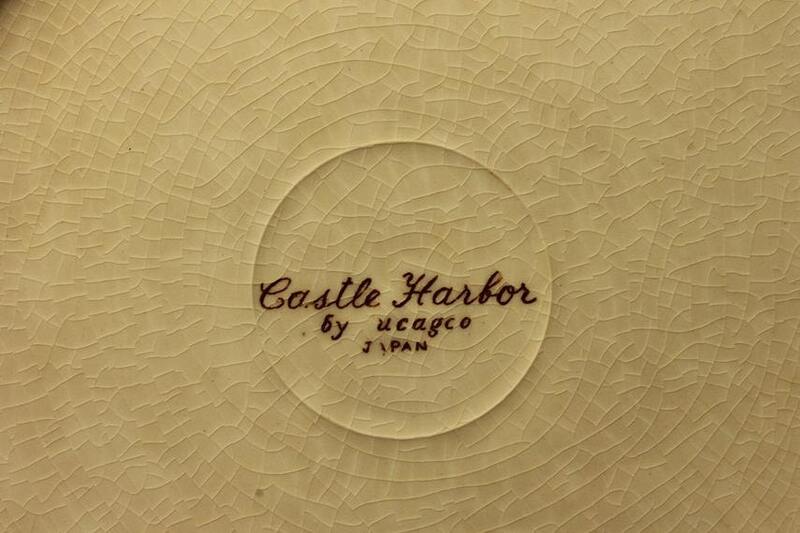 The plate was made in Japan. 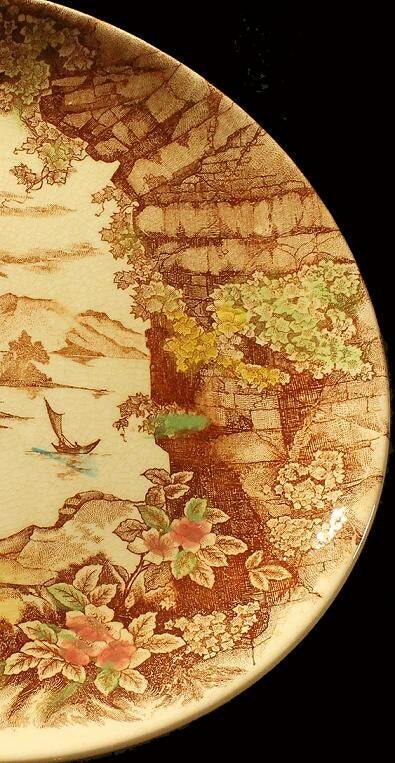 Because of age the piece has deep extensive crazing all over but no cracks, chips or nicks. This will be a lovely addition to your home or collection.